James Neiss/staff photographerNiagara Falls, NY - U.S. 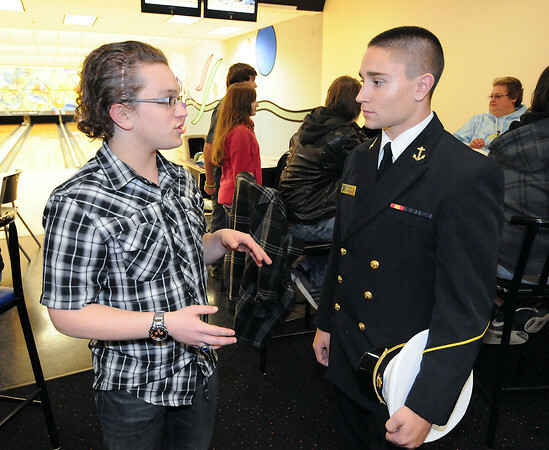 Naval Academy Midshipman Stephen Rodriguez chats with Jude Holka, 17, a member of the St. Leo's Church Youth Group. Rodrigues joined the group for a talk about life at the Annapolis Naval Academy, before joining them for a few games of Bowling at the Rapids Bowling Alley.